Microsoft, few days back released the Windows 10 technical preview and today it has released its first build update to the Windows 10 technical preview and it adds the Action center, battery saver and some other things. It is the first update of the many updates to come and in fact there is already a small patch for the build which has released today. 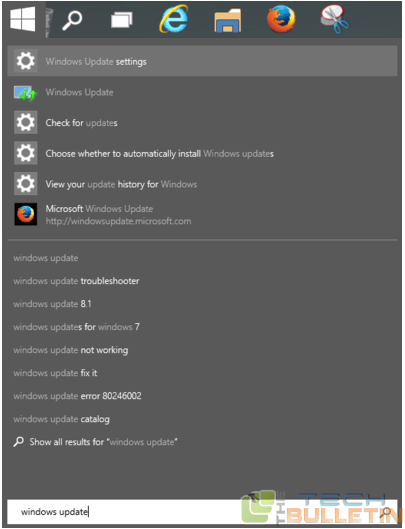 Here is how to install new builds of Windows 10 technical preview using the Windows update. First click on the Windows start button and then type Windows update in the search field. Once if it finds that there is any new build available, click on download and the update starts downloading. The package is very large and you must be patient until it downloads. Eventually, you will find a button to install the new build.